Take our online IT training courses and learn according to your own schedule. Led by experienced instructors, our courses include numerous interactive features. You can participate in hands-on virtual labs and even track your own progress. 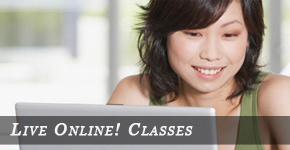 Flexibility: Access online IT training courses according to your own convenience. Progress tracking: Save your learning history and track the progress made. PLEASE NOTE: Fortinet Training Courses fill up very quickly! We cannot guarantee you a spot will be available. Please check back often for the latest available courses. You may also contact us and request a notice be sent either by email or phone when a particular course becomes available. Please Contact us today for available courses.